Whether you are looking for an original nursery theme or have a little dude (or dudette) who is ready to stamp their own style on their bedroom, the skateboard range of decor from is going to be right up your alley. Young and fun, but also urban cool, the Leçons de Choses skateboard shelf or bench makes the perfect statement piece that is practical at the same time. Inspired urban culture, retro fabrics, film stars and architecture, Leçons de Choses is a contemporary French home décor brand that totally gets our emerging Millenials. The skateboard shelf and bench are both handcrafted from real maplewood and come painted in an assortment of bright and fun colours. The shelf hangs on the wall with steel hooks, measure 80cm in length and is priced from €92. You could stick with the theme and decorate a few skateboard shelves with vintage comics and collector pieces or use them to bridge the gap and fill them with special toys from their baby days. The skateboard bench, meanwhile, starts at €169 and has metal legs standing 27cm high that come in black or a variety of contrasting colours. Put it at the end of the bed or in the hallway where they put their shoes on in the morning; With its simple design and cheery colour, it definitely passes the style test to be allowed to be seen in the general living area! 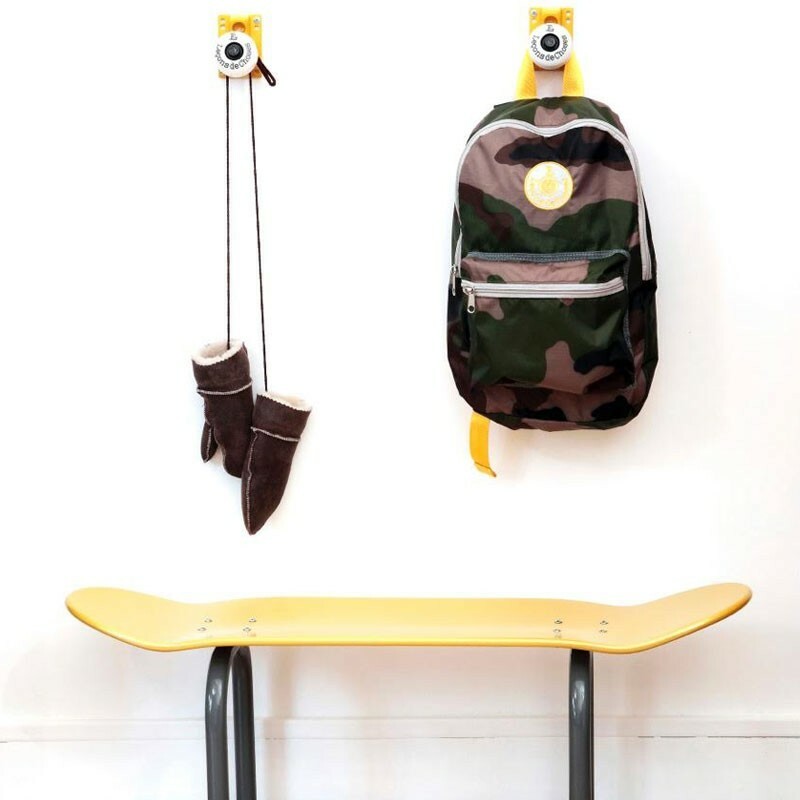 For a refreshing and fun take on kids bedroom decor, check out the Leçons de Choses skateboard range and all sorts of other fun products in their online shop. Shipping to Australia is available and costs an extra €25 for the shelf and €45 for the bench. If the kids are keen to try riding an actual deck, check our previous post on kid-friendly Globe Bantam skateboards.